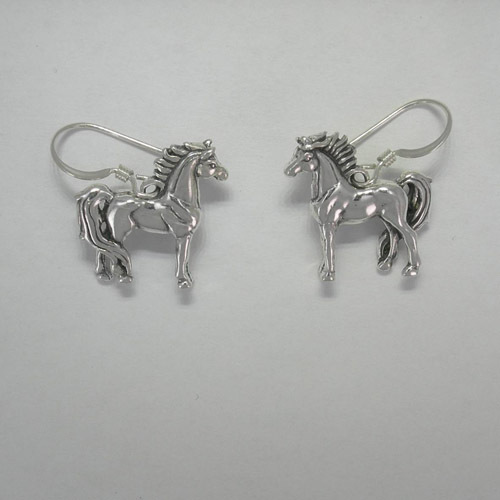 Desc: Sterling Silver 3D horse dangle earrings. Each horse is standing with head held high with mane flowing and tail draping around hind legs. Each horse is three dimensional. The earrings have bright polish finishes. These earrings are made in the United States of America.